For those of you that don’t understand this reference that is the title of this post, I need to tell you that it’s a reference to a cartoon. There was a cartoon called Yogi Bear. It was created by Hanna-Barbara in the 60’s. I can barely remember it…yeah, right. 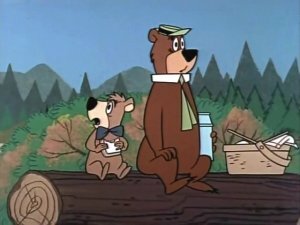 Yogi was always trying to teach Boo Boo about the fine art of stealing a picnic basket. Well, fortunately we don’t live in the middle of the woods. 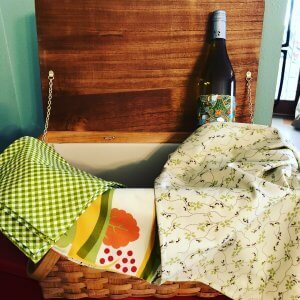 You can make a picnic basket with all the fixin’s anytime. For my picnic basket I purchased a new basket. But, you don’t have to be that fancy. Mine was a gift for a friend’s bridal shower. You can find these at second hand shops and they are usually in pretty good condition. Make it personal. 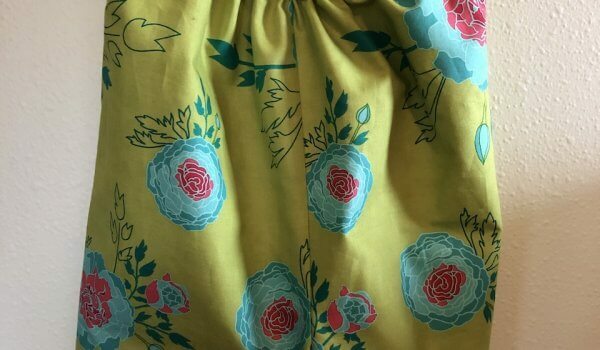 Find some fabric that you know your friend or you yourself would love. I chose fabric from Moda. It was a line called Necco and it was from Momo. This was on one side, and on the other side, I used a fabric that had ants and leaves on it. It was also from Momo, but a different line called Lucky Day. 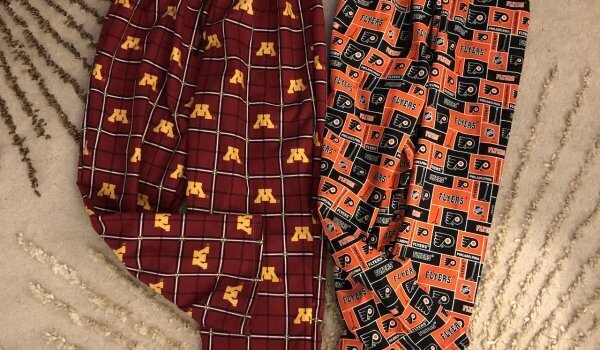 Both of these fabrics are on my Etsy site. They’re perfect for a picnic. But, what was even more perfect was the green gingham fabric that I used for the napkins. How did I make these? 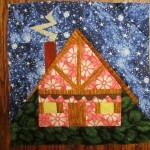 You will need 1 1/2 yards each of two different fabrics. Square up the ends of both rectangles so that they are the exact same size. Put them right sides together and pin around the perimeter. 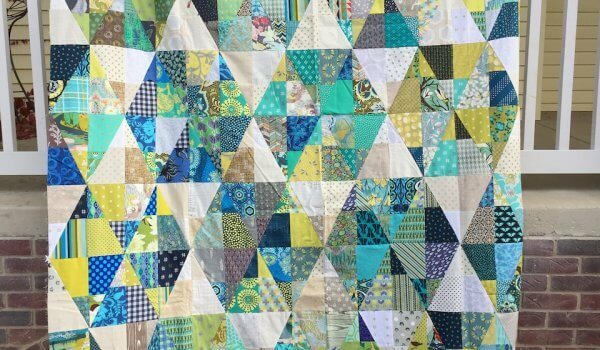 Stitch them together using a 1/2″ seam allowance. Leave a 5″ opening for turning right sides out. Turn right sides out and press. You can stitch around the perimeter about 1 inch in from the edge if you want to get fancy. Otherwise, leave it as is. Handstitch the opening closed. Press. 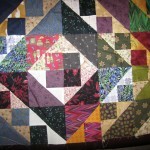 You will need 1 yard of fabric that is 44 inches wide. Cut 4 squares 18″ x 18″. Stitch a narrow 1/4 ” hem around the entire perimeter of each napkin. You can also use your serger and make a rolled hem. I personally like to use the 1/4 inch hem when I make cloth napkins. You can throw in a bottle of wine, some melamine dinnerware, or whatever else you think is a great idea. Why don’t we just keep a picnic basket in our car at all times? I know few of us that live in Wisconsin are going to have a spontaneous picnic when it’s cold out, but from March through October, there are plenty of days to have a sudden unexpected picnic. If you’re one of the folks that frequents drive through restaurants, you can get out of the car and sit at a table to eat your food. Pull out the picnic basket and style it up a little. Kids love picnics. What a great memory for them if you would spontaneously erupt into a picnic the next time it’s warm and sunny. Life is short. Have a picnic!